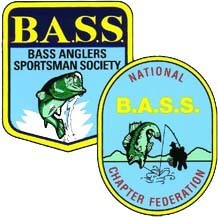 Bass Fishing Club dedecated to good sportmanship and comraderie. Fish one and two day club tounaments in Southern California. Fish some in Arizona & Nevada(Lake Mead). Experienced and Novice boater' s and non-boater's welcome..
in So California on lakes to be determined. except May, when due to Mother's Day moved to 3rd Sat & Sun. located corned of Archibald an Foothill Blvd, Rancho Cucamonga, Ca.